Podcasts were the medium of the future ten years ago. 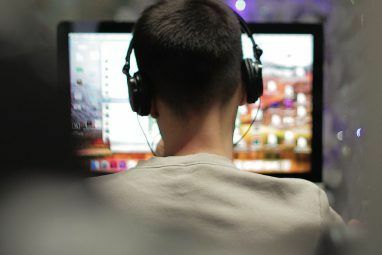 The technology, which uses RSS feeds to push audio or video directly to a user’s desktop, seems today to be largely replaced by browser-based video sites including YouTube and Hulu. Don’t be fooled, however: there are still plenty of quality podcasts 15+ Podcasts Every Geek Should Listen To 15+ Podcasts Every Geek Should Listen To Read More out there if you know where to look. If you’re a recent Linux convert, you’ve probably noticed you cannot install iTunes on your new system. 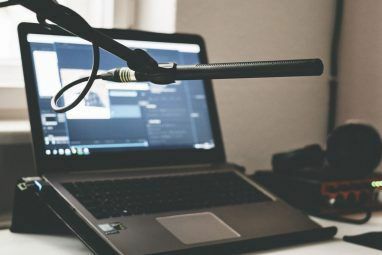 That doesn’t mean you can’t enjoy your favorite podcasts anymore – there is plenty of Linux podcast software available that are capable of managing and downloading podcasts. Rhythmbox, Banshee and Amarok all include built-in podcast management, as do a number of other Linux media library applications. I’m not interested in using my music player to download music, however I want a program that does podcasts and only podcasts. If you feel the same way keep reading – here are three lightweight podcast managers for Linux. Note that in order to use these programs with your favorite podcasts you’re going to need that podcast’s RSS or Atom feed: the iTunes feed isn’t going to work. Don’t worry, however: most podcasts have a homepage that will feature this feed for you. I love this Linux podcast software. Weighing in at a total of 1.6KB, Bashpodder is made up of a single script, an XML file and a configuration file containing nothing but your podcast URLs. Best of all, on a standard Ubuntu setup you won’t need to install a single dependency to get it working. BashPodder comes with no GUI, but if you’re generally afraid of command-line programs don’t worry: this program simply couldn’t be any easier to use. To start off head over the the Bashpodder website and download the three files necessary for the program. Put all these files into the same folder on the drive you want your podcasts to be downloaded to. Open the file called “bp.conf“ and you’ll see a list of podcast feeds. Delete anything you’re not interested in and add the feeds you are interested in. Now you need to make the file “bashpodder.shell“ executable, using the command line if you know how. Alternatively, on Gnome-based systems such as Ubuntu, you can right-click the file, then click “Properties,” then click the “Permissions” tab. Click the “Allow Executing file as Program” button and you’re good to go. Run the script from the command line, if you know how, or alternatively simply double-click the file “bashpodder.shell” and then click “Run Program in Terminal.” Bashpodder will now download every file from all the feeds you just added. The BashPodder Script is simple but very effective. Basically it downloads every file linked to by a given RSS feed, leaving the names of the file in a log called “podcast.log”. Next time you run BashPodder, none of the files in podcast.log will be downloaded, meaning it will only download new content. Not a big fan of bash-based apps? The gPodder Linux podcast software offers a GUI-ed approach to Linux podcasting. Installing the program is easy, as gPodder is in all likelihood already in your Linux distribution’s package manager. Search for gPodder and you should be good to go, but if not there are downloads over at gPodder’s home page. 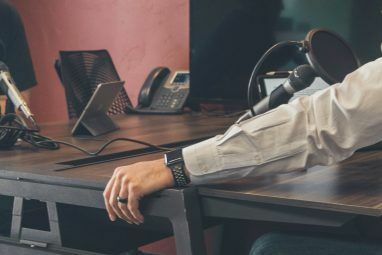 Start the program and you’ll be presented with a list of default podcasts to choose from, including three of my favorite shows on NPR: Car Talk, This American Life and Science Friday. Pick any podcasts here that you’re interested in and you’ve got a good start. Adding podcasts is basic: hit “Subscription” followed by “Subscribe to a new podcast URL.” Then you need only paste the feed and you’ll be asked which new episodes you want to download. A neat feature of this program is the ability to add any YouTube channel as a podcast. The “Search For Podcasts“ has a YouTube tab; simply search for your favorite channel and you’ll be good to go. Looking for a funny YouTube Channel to follow? Tim’s got some recommendations for you 4 Really Funny YouTube Channels Worth Keeping Up With 4 Really Funny YouTube Channels Worth Keeping Up With Read More , and I’d also add the excellent AutoTune The News. 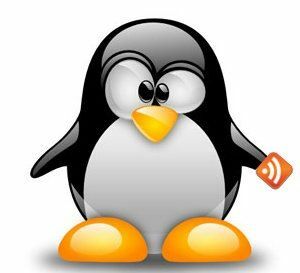 PenguinTV is very similar to gPodder, but functions more like an RSS reader than a podcast manager. In fact, PenguinTV is unique amongst podcast managers in that it can not only automatically download media files from podcasts but also allow you to browse your favorite text and graphic based RSS feeds: XKCD and Gnome Plant are both included by default. Don’t shortchange PenguinTV as a podcast manager, however. This program can download your podcasts on a scheduled basis, and can even synchronize all your currently download files to any location you choose – handy if you have a media device you can drop files on directly. I personally had some stability problems after adding the feed for The Bugle (Earth’s single greatest cultural achievement, if you’re not familiar with it.) This is probably because The Bugle’s feed points to all 100+ episodes in the show’s history, but it should be noted that gPodder and BashPodder both worked fine with this feed. Still, if you’re not pleased with gPodder for any reason, PenguinTV offers a great alternative with support for non-podcast RSS feeds to boot. Like gPodder, PenguinTV is probably already in your Linux distribution’s package manager. If not, you can find a download on PenguinTV’s home page. All three of these programs are great for getting your podcast fix, but I personally prefer BashPodder. This program is dead-simple, lightweight and get’s the job done without a lot of fuss. Don’t agree? Tell me which podcast manager is best in the comments below. Also free free to share your favorite podcasts, because it’s always fun to find new ones! I like gpodder, because it works. Also, with paid subscription podcasts where username and password are required, it's the only one i could get to work! I didn't forget it; it simply isn't light by any stretch of the imagination.